The Never Summer Proto Type Two Snowboard is a quiver of one all mountain machine. If you're looking for one board to truly ride it all, this asymmetrical twin eliminates the natural unevenness of the human body and leverages NS's Ripsaw Rocker Camber profile for incredible pop, stability, and power, from side hits to park laps and beyond. Ripsaw Rocker Camber  Features enhanced cambered areas for aggressive edge hold and tremendous pop while maintaining the versatility of Original Rocker Camber. Extended Transition Area  Never Summer adds a small flat section in the snowboard profile that improves both turn initiation and powder flotation. Low Profile Tip/Tail  A low profile in the nose and tail of the snowboard maximizes material contact with the snow for more powerful ollie/nollie pop and stability to your landings. Low Profile Tip/Tail also reduces the plowing effect in the nose for better glide to the next feature and superior float when it's deep. NS Superlight Wood Core  Never Summer uses a custom blend of wood species that was created to be the lightest weight yet durable core on the market. The NS Superlight Wood Core is CNC sanded in the custom wood working facility to a fraction of a millimeter. A tailored flex is perfected, giving their snowboards unequaled performance. Carbon Max Laminate Technology  More carbon equals more power and performance. The Carbon Max Laminate Technology combines an advanced top and bottom carbon matrix to maximize response and strength where it's needed most. The result is a lightweight yet powerful configuration that provides torsional rigidity and energy transfer without sacrificing the control a rider needs. 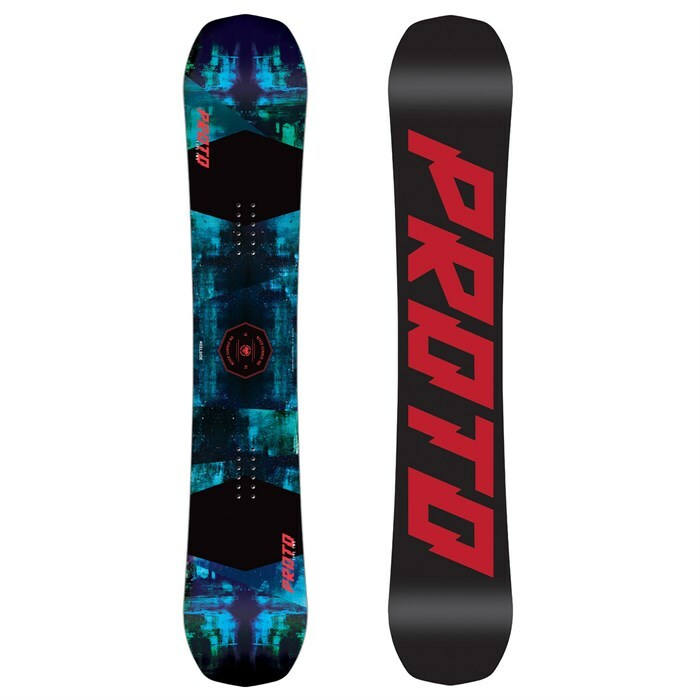 STS Pretensioned Fiberglass  The world's best snowboard fiberglass, period. This advanced pre-hardened, pre-tensioned, layered laminate has added elastomer stringers between the 0 degree and 90 degree glass fibers (the length of the effective edge). This produces a stronger bond between the individual glass laminates giving our snowboards unmatched strength, edge hold and performance. Bi-Lite Fiberglass  Bi-Lite Fiberglass combines many of the strength characteristics of Never Summer's STS fiberglass with an ultralight glass fiber matrix. This delivers incredible freestyle and freeride performance without sacrificing durability. Perforated Rocker Pad  Perforated to reduce weight, these thin elastomeric Perforated Rocker Pads are strategically located in the mid-section of the board. This absorbs the vibration between the feet and provides a buffer in the rocker area which is in continuous contact with the snow. Elastomeric Underfoot Stabilizers  Elastomeric Underfoot Stabilizers directly below the mounting area provide optimum vibration absorption and increase high-speed stability while reducing foot fatigue. Harmonic Tip/Tail Damper  Harmonic Dampers in the tip and tail take out a high percentage of residual vibration by quieting the nose and tail. This enhances stability at speed, in variable snow conditions, and on board landings without deadening the liveliness and pop of the cambered areas. Durasurf XT Sintered 5501 Base  Crown Plastics has developed an exclusive, super fast, durable sintered base specifically for higher end boards. Just the right amount of graphite has been added making the Durasurf XT Sintered 5501 Base the fastest Never Summer has ever used. Premium Coextruded Polymer Topsheet  The Premium Topsheet is a durable, lightweight, scratch and chip resistant fiber backed thermoplastic. The premium topsheets also provide more grip than other topsheet materials, working as a built-in stomp pad.